Of course, my go-to for something different is always Illamasqua, and when I headed down the escalators towards their counter I had a good feeling. I was right to be positive, because this would be my first encounter with 'Pivot'. From the packaging it's clear Pivot is intended to be matte, which immediately made me a little concerned it might be quite powdery. But when I was swirling my brush in the pan and patting it onto my eyelids I found very little loose powder at all. Another common drawback with matte shadows is the powder tends to make its way into my eyes, but the lack of loose powder floating about meant this wasn't an issue at all. 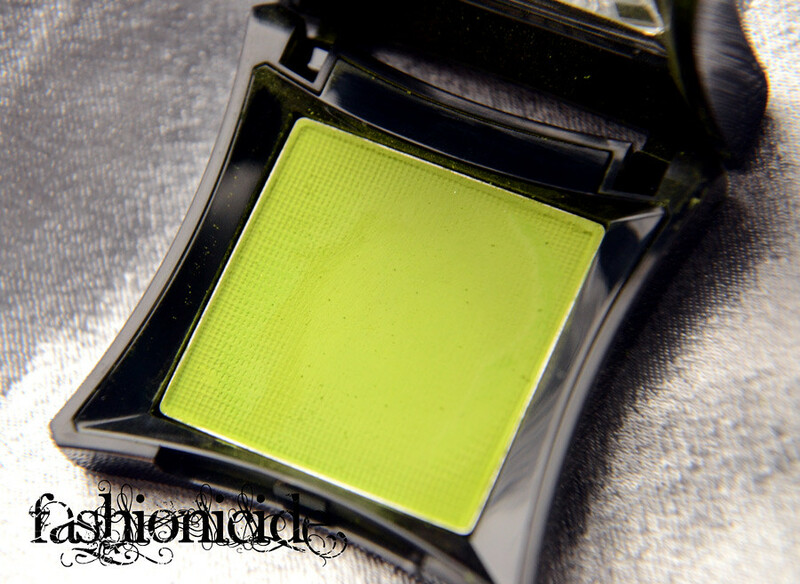 The final major plus point is the pigmentation, it's very strong so I found I didn't need to pack the colour on. I would say that this will increase the life of it, but I know I'll use it so often it'll run out before I know it! 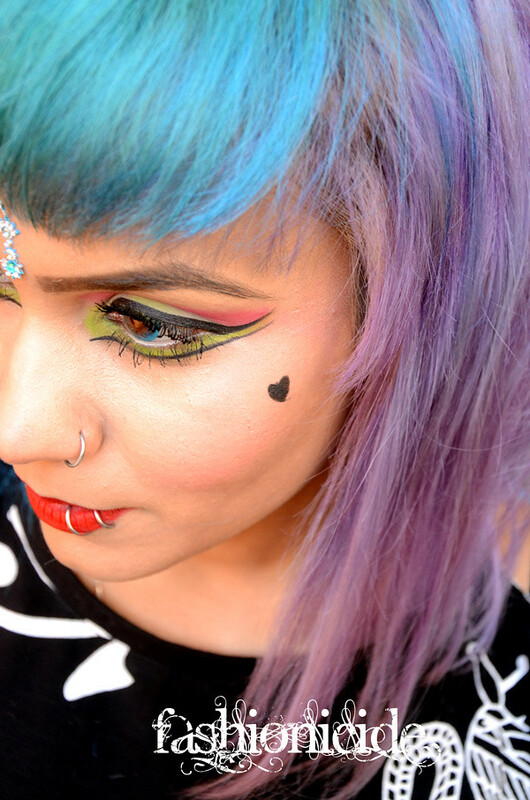 Illamasqua's Pivot will set you back a cool £15. I know that's quite steep for an eyeshadow, but in my opinion it's fully justified because it's an original and exciting colour of such high quality. There just isn't anything to match it in either respect out there on the high street. Are you a brights or a neutral kinda person? Your eyes look amazing. I think I'm a little too old to try something so bright now. I had a shadow almost exactly that colour about ten years ago... I think it was from MAC. It too was matte and shockingly easy to wear. I hadn't thought of it for ages (which is about how long it's been since I've worn coloured eyeshadow) but this look took me right back and made me think maybe, maybe I could experiment...? We'll see ;) It looks fabulous on you, though. 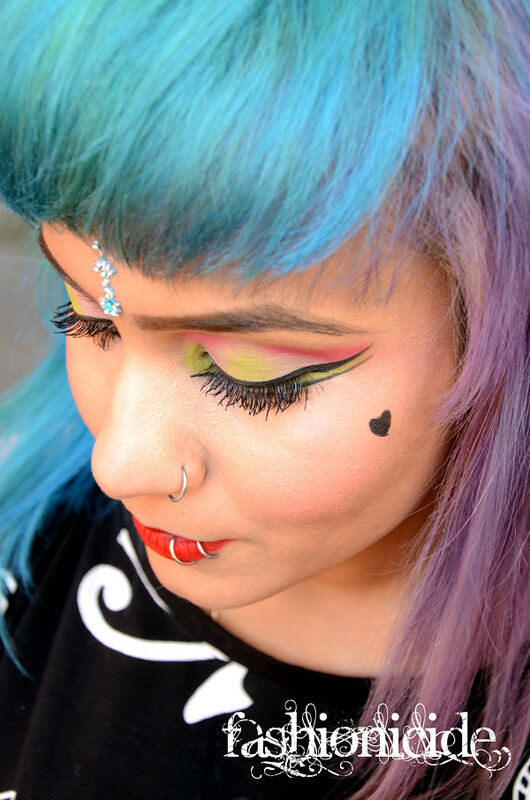 Fab - I like what you have done with it - I wouldn't know where to strat with green eyeshadow! 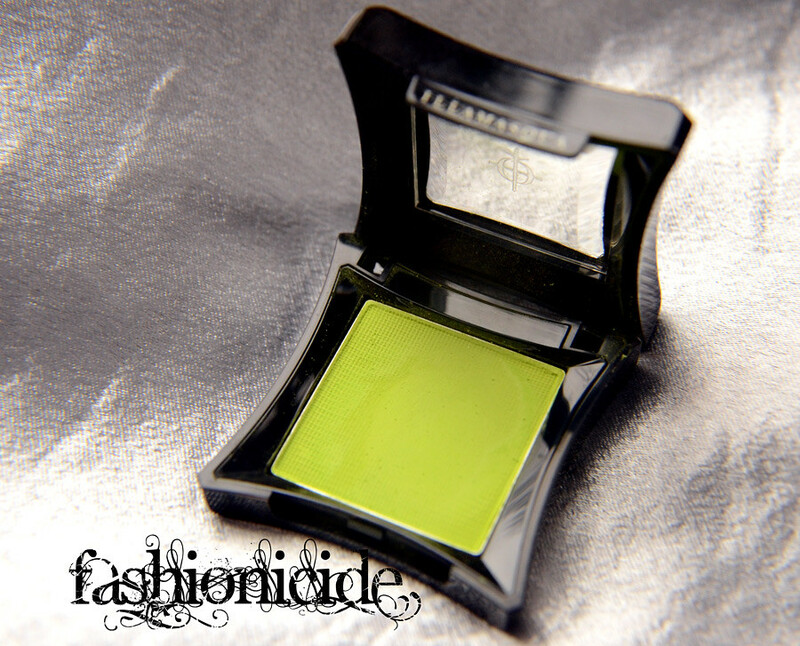 I love Illamasqua make up. They have such great quality. I own a blush from them and I only need the tiniest amount (otherwise I would look like a clown haha). Great look, it really suits you! It looks beautiful <3 You've done a great job Halima!!! I would have no idea what to do with kiwi eyeshadow but I would love to try your eye look for a night out! 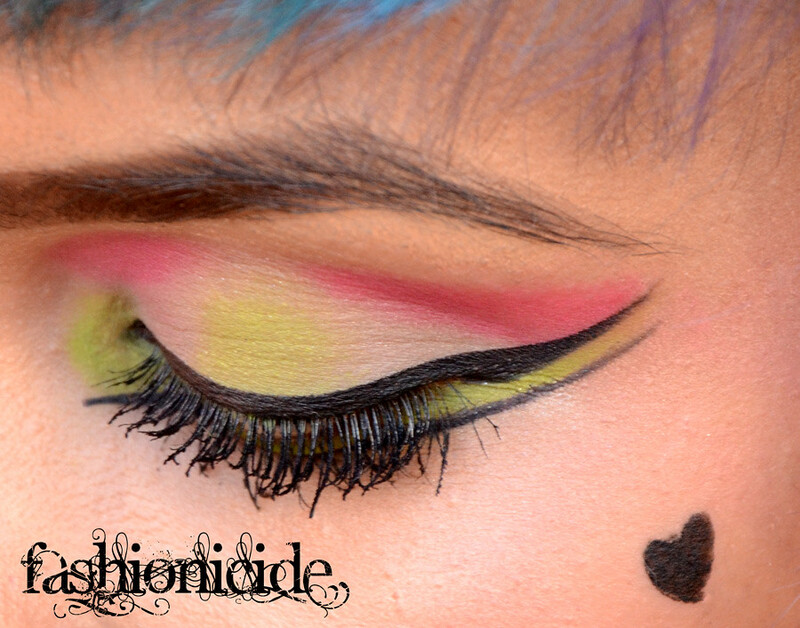 I have trouble enough with liquid eye liner though so I am afraid I wouldn't be able to pull it off.. I need a tutorial! This is the first time I've heard of that make-up brand. Living the tang of fresh bright colour. Pre acid in a good way. Lime and bright pink make a perfect colour marriage. I love this look! You pull off so many colors.. it's awesome!! You look fabulous lovely! I adore the new blog design too. Looks amazing. Who drew that stunning piece of art? !